It’s April 1st and we are starting the Yoga With Adriene Book Club! No Foolin’! Many of you have asked, craved, inquired about ways to deepen the practice and grow the conversation. The YWA community is growing and the vibe is good y’all. The online book club is free to join and welcome to everyone. Today we begin reading our first book The Tree Of Yoga by B.K.S Iyengar. Like REBOOT, the first rule of the book club is – there are no rules. This is a space where we are free to read ask questions, discuss and grow. We begin reading today and discuss through April. But this conversation is open for people to drop in anytime. Please join us at the Yoga With Adriene Book Club Group on Facebook. If you are not on FB- lets talk here by commenting below. I will be re-reading this book with you. Starting today! I picked this as the first book club book because I believe it was one of the first books I read as a teacher trainee long ago. It is a welcoming book for those new to yoga studies and accessible for anyone with a desire to deepen the practice. I look forward to chatting with you and hearing from you. Lets create a kind and loving group where all are welcome.I will be proposing some food for thought and questions throughout the month. I’m in! I’ve already started the book and I’m on my way to join the FB group. Looking forward to the discussion. I’m on it! Ordered the book now I wait. You have really inspired me to look more into yoga and make it part of my daily routine and healthy life 🙂 lovveeeee your videos! Off to the site I go! Just ordered the book, it should be here early next week. I’m new to yoga but eager to learn. I’m super excited about this! Off to the library to get my copy. I’ve been looking for a fun way to expand my yoga knowledge. Thank you! Hi Adriene, i have a foot injury and will have it for a while so I’ve had to stop doing yoga, it would be great for you to do a yoga video for people who don’t have both feet to work with please! I recently fractured my foot so I know what you mean. I have been taking this time to do the fundamental videos, mostly sitting poses. It’s been nice to really concentrate and work on getting deeper and better on those poses. I love your videos! keep them coming, they help me relax and feel stronger with every session. I am a newbie but am excited to learn more..I have never been in a book club either especially a Yoga one..lol but excited to learn and share however I can. New to Yoga- Love the videos! Just ordered my book (4/22). Can’t wait to get started. I just joined the FB Group as well. I’m late to the band wagon but I’ve ordered my copy today!!! Hi! I have just started yoga, and I saw your videos on YouTube. I watched them and did them, and I really felt relaxed! You seriously get into it and I love your funny personality! I am not a Facebook gal, but I will read The Tree of Yoga, and I look forward to discussing it with you! I’ve been doing the reboot for over 60 days. I can get through the 3rd video, can’t say it is with total grace but working at it. If I miss a day I feel all dis-come-bob-u-lated!!! Do you think I will be ready for yoga instructor – intensive – RYT 200 if I keep doing it everyday by the end of June? 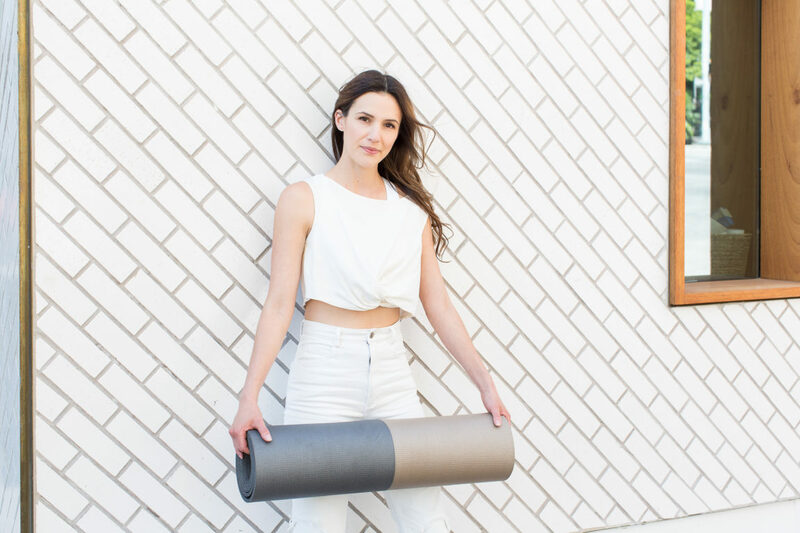 secondly, I have a keen interest in some of the underlying principles of the practice and always have so I am here to learn more than just yoga for exercise. Would love to join the bookclub too. Do you recommend starting at the beginning or picking up a copy of this months book? Time magazine had judged Guruji BKS Iyengar as one of the 1000 most influential people in the world in 2004. Truly, there is no parallel to the innovation he bought in the form of Iyengar Yoga. Now yoga can be practiced by everybody relatively easily. I have also written on his life as my humble tribute to Guruji. Your initiative is also commendable and all the best wishes to you. Are you still doing the Book Club? I would love to join it! Hi Adriene, is this club for this 2015 year ? Thank you Adriene for inspiring me to read that book. A true jewel..
And thank you for everything else as well ! I’ve started the book and requested to join the Book Group on Facebook but not heard anything yet. Loving the book so far particularly interested with respect to my religion – Christianity. Have heard from friends in the past that Yoga is frowned on by some fellow church goers. Crumbs just read someone stating 2015 – am I just way to late in Sept 2018!!!!? ?